The nucleus of Zapp circled around three of the five Troutman brothers: Lester, Larry and their younger brother Roger. The duo of Lester and Roger started several groups including Little Roger and the Vels. Larry eventually joined his brothers when their name became Roger and the Human Body, which also included youngest brother Terry and Gregory Jackson (Cincinnati Ohio Funk Keyboardist). Larry was then the road manager and the leader of the group in terms of all major decisions and connections. The name change to Zapp came courtesy of Terry, whose nickname was that of "Zapp". Discovered by members of P-Funk in 1979, the funk collective's leader George Clinton signed them to his Uncle Jam Records. When that label folded the following year, the group signed with P-Funk's parent label, Warner Bros. Records, and began working on their first record at united sound in Detroit album courtesy of co-production from Bootsy Collins. 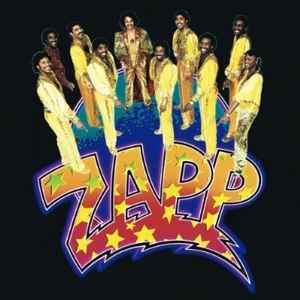 Released in the late summer of 1980, Zapp's seminal self-titled debut album became a platinum success peaking at the top twenty of the Billboard Top 200 thanks to the success of their leading single, the Roger composition, "More Bounce to the Ounce", which reached number two on the Hot Soul Singles chart. Zapp's trek to fame continued within the Troutmans, who started Troutman Enterprises shortly after the Zapp album was released. Roger, who was the leader of the group and most famous for using the talk box in his recordings, was also the band's producer, chief writer, arranger, and composer. He and older brother Larry, who served as percussionist in the band's early years and later retired from music to serve as his younger brother's manager, often collaborated on songs together. Roger and Zapp worked on both group albums and albums Roger released on his own merit. Within five years, the band scored more top ten R&B hits such as "Doo Wa Ditty", "I Can Make You Dance", "Heartbreaker", and ballads such as "Computer Love (R&B #8)" and a cover of The Miracles' "Ooo Baby Baby". Among the songs, only one of them - 1982's "Dance Floor, Part 1" - managed to hit number-one on the R&B chart while two of Roger's solo numbers - a cover of Marvin Gaye's "I Heard It Through the Grapevine" and "I Want to Be Your Man" - hit the top spot of that chart. By 1985's New Zapp IV U, the group had scored over four gold records and had become a top concert draw all around the world. Two Warner-released best-of collections compiled Zapp and Roger's most popular songs: "All The Greatest Hits" (1993) and "Greatest Hits, Vol. 2 & More" (1996). These compilations were released under the artist name Zapp & Roger.